We won! 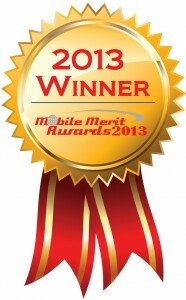 Mobile Merit Awards recognizes excellence achieved in the global mobile industry each year. This year Exadel was recognized as the winner of the best Enterprise Product or Service for our Appery.io mobile app platform. This year’s winners were judged based on industry impact, innovation, technologies, social importance, implementation and overall success factor. For a while, we’ve noted the growing gap as the demand for mobile innovation in the enterprise outstrips the capabilities and capacity of IT organizations. Our Appery.io mobile app platform is just one example of how we are helping companies close this gap. We also offer services to help organizations use Appery.io and, of course, a full gamut of enterprise software development services in addition to Appery.io-specific services. Congratulations to customers and our hard-working global product development team!